Something’s gotta give… We’re in a falling wedge within an expanding wedge, with loads of divergence and retesting the earlier lows. Market seems to have found support here. 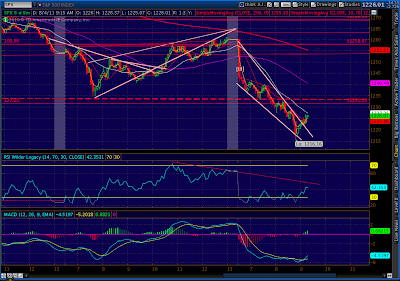 Only influence I can see is the Nov 5 2010 high of 1227. We’ve made a new bullish falling wedge…a few times, now. 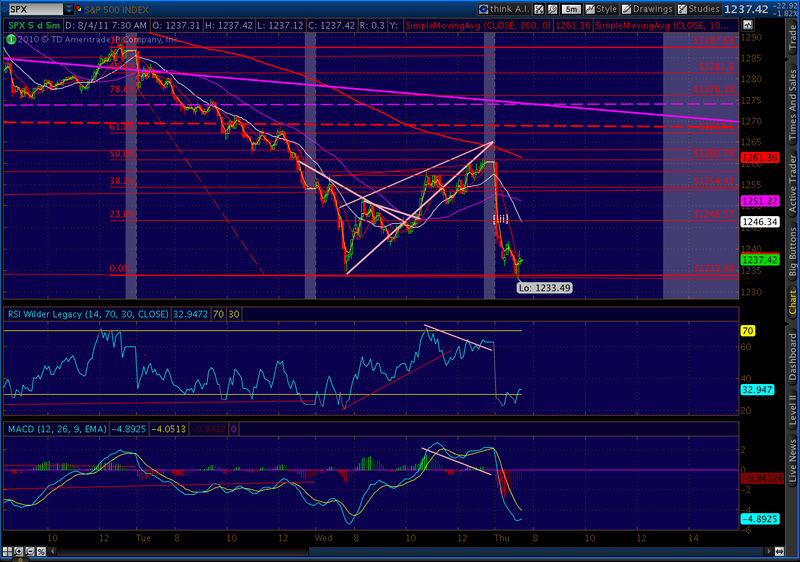 Have had a backtest and are possibly retracing, but risk still off the charts. 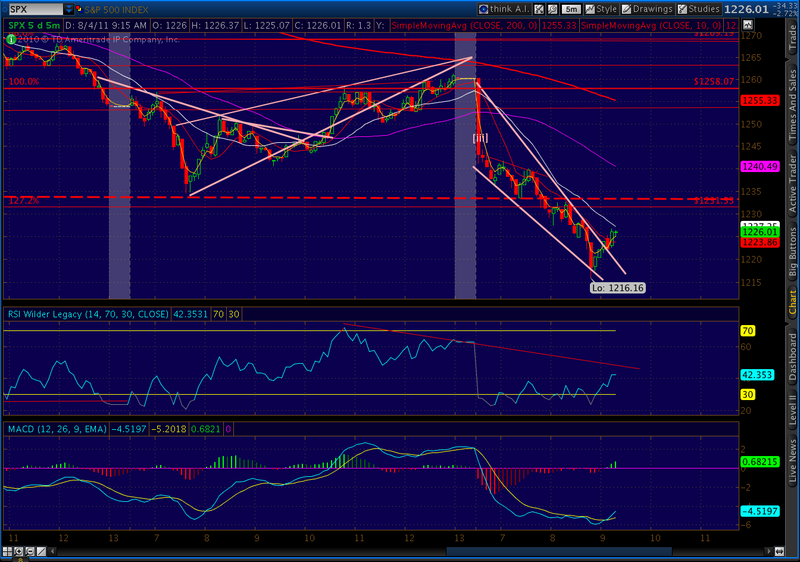 If it plays out, could take us back to 1245+. 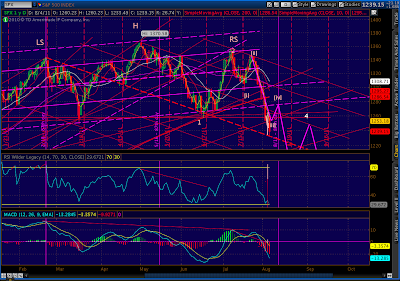 Next major support isn’t till 1200. 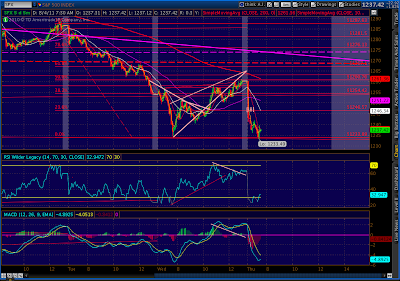 The rising wedge seems to have paid off nicely, with prices falling back to the base as per the script. 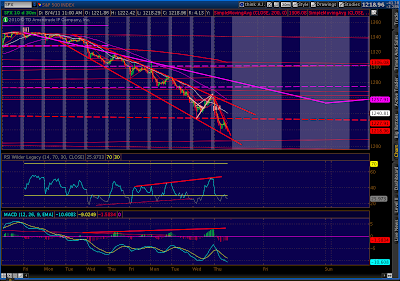 Like yesterday, the trend line off the Feb 18 high saved the day (so far.) It’s the orange dashed line on the daily chart below. 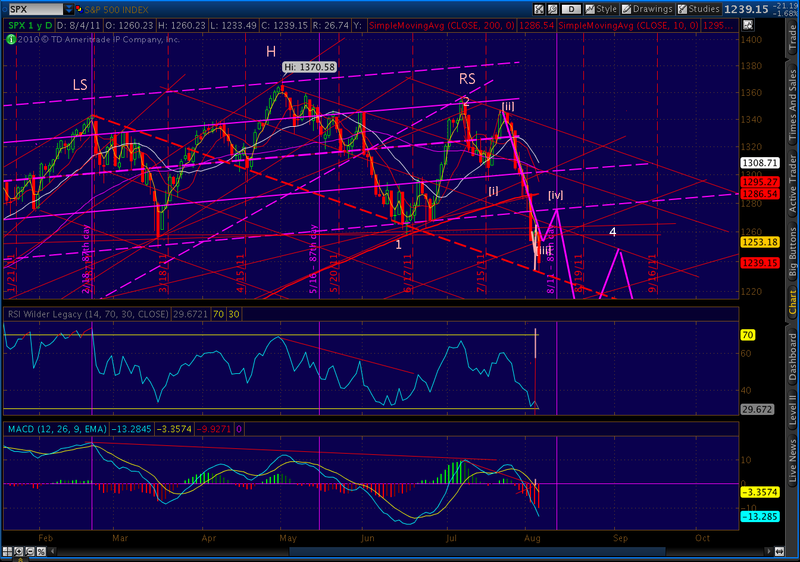 The big question is whether this is “b” of a corrective wave, or the next impulse subwave. We did make a new low, so caution is warranted. We’re still due a [iv] wave sometime soon. 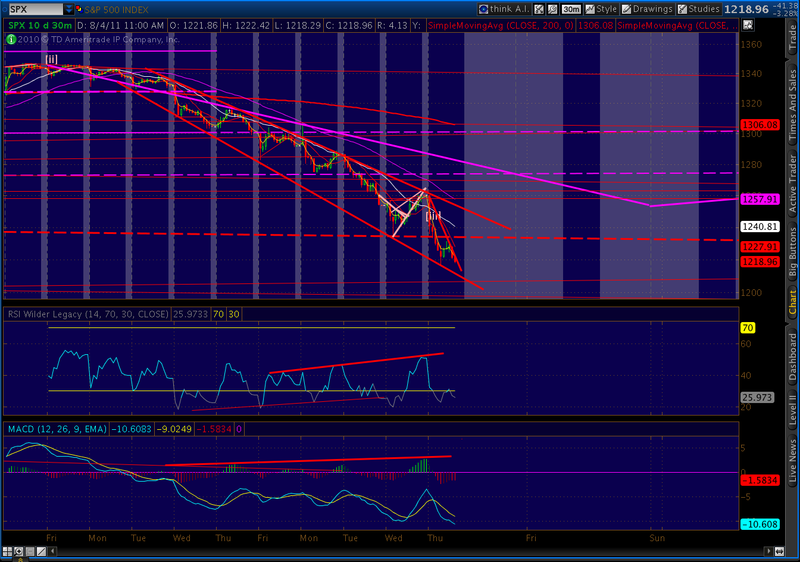 My original thought (as of a couple of weeks ago) was August 11 (the purple line.) This was based largely on the 87-day cycle — it should mark an important high. But, it also dovetails nicely with the 2007 topping pattern. Pebble, I appreciate your works here. Just a query, do you have a cycle date of 3 Oct 11 in your chart? I am thinking of an intermediate low formation there. In between from 3 Aug to 3 Oct 11, there are also other time candidates: 13 Aug, 28 Aug, 30 Aug, 11 Sep, 24 Sep on my radar scope.